The Public Service Commission West Bengal is going to conduct the examination as per the subject mentioned above. Click the link below to know more. 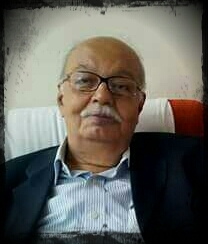 On behalf of the entire West Bengal Legal Service let us pass our deepest condolences on the recent demise of Shri Nisith Adhikary, Senior Advocate, former Law Minister(1996-2006) to Government of West Bengal, former Additional Advocate General to Government of West Bengal and former Advocate General for the State of Tripura. To say he was a larger than life character would be an understatement. He will always be remembered as a great statesman – verified by his various roles as Senior Counsel, Law Minister, West Bengal, Additional Advocate General, West Bengal, Advocate General Tripura apart from being a stellar personality with a golden heart. His on the field competitive style and skill were only surpassed by his incredible positive influence and zest for life off the field. To the uninitiated, had it not been for Shri Adhikary, the legal ecosystem of West Bengal would have been filled with a huge void. The 'West Bengal Legal Service' was the brainchild of Shri Adhikary and it's constitution & development was literally drafted by his own golden hands. He was also one of the pioneers in setting up of the National University of Juridical Science, Kolkata (a premier Law School) in the year 2000. The achievements are endless but as all good things come to an end, perhaps the almighty decided this was the time to take back his favourite child. God bless him and all of you at this time of sorrow. AGM of WBLSOA will be held on 18/6/15 at 5 :30 pm. Venue Moulali Yubakendra. Filing nomination for the post of President, Vice President, Secretary, 2 Joint Secretary and Treasurer will be done from 8/6/15 to 12/6/15. Sri Dibakar Mandal, Sr, Law Officer in the office of AGOT is the Election Officer. Nomination may be filed in plain paper stating name and the post applied for. WEST BENGAL LEGAL SERVICE EXAMINATION, 2014 ADVERTISEMENT NO. 8/2015. The Public Service Commission, West Bengal will hold the West Bengal Legal Service Examination, 2014 in accordance with the existing rules for recruitment to the posts in West Bengal Legal Service. The Written Examination will be held in Kolkata centre only in 1 st week of August, 2015 or thereabout followed by the Personality Test. The Personality Test of the candidates to be selected on the results of the written examination will be held at the Commission’s office in Kolkata. PAY : (PB-4A) Rs.15,600-42,000/- + Grade Pay of Rs.5,400/- besides D.A., M.A. & H.R.A. admissible as per rules. NO. OF VACANCY : 40 [Unreserved – 21, SC – 09, ST – 02, BC(Category-A) – 04, BC(Category-B) – 03 and PH – 01 (OH – Locomotor Disability)] N.B. : (i) All appointments will initially be made on a temporary basis. APPLICATION : Applications can be submitted ONLINE only. 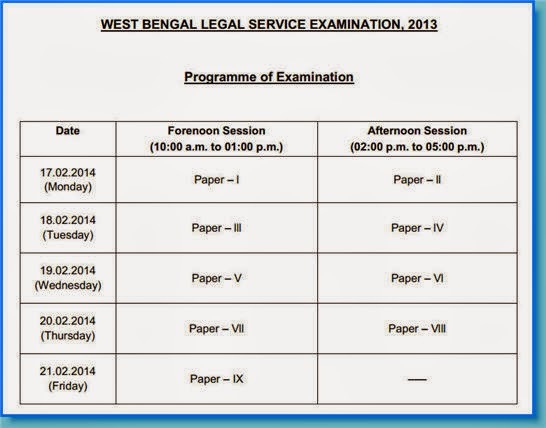 West Bengal Legal Service Examination, 2013 Programme of Examination. Results of the Half-Yearly Departmental Examination of the officers of the Government of West Bengal, (Including All India Service officers) held from Tuesday, the 28th May, 2013 to Thursday, the 13 th June, 2013. The copy of advertisement may be obtained by clicking the link above. To download / view the syllabus for WBLS Exam 2013, Click here. N.B. : ABILITY TO READ, WRITE & SPEAK IN BENGALI IS AN ESSENTIAL QUALIFICATION FOR RECRUITMENT (NOT APPLICABLE FOR CANDIDATES FROM THE HILL AREAS OF DISTRICT OF DARJEELING). WEST BENGAL LEGAL SERVICE EXAMINATION, 2010. Gross emoluments at the entry level : Rs.26,670 - besides M.A. and H.R.A. Vacancies : 50 (Unreserved – 23, SC – 10, ST – 06, BC (Category A) – 05, BC (Category B) – 03 and PH – 03 (Low Vision - 01 and Hearing impaired 02). N.B. 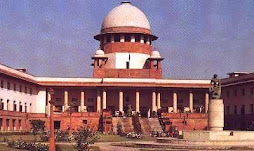 : In terms of notification bearing no.861-L dated 21st June, 2007 issued by the Law Department, Govt. of West Bengal, the persons or class of persons suffering from blindness and cerebral palsy are exempted from the purview of reservation in terms of proviso to Sec.33 of the Persons with disabilities (Equal Opportunities, Protection of Rights and Full Participation) Act, 1995 (1 of 1996). Candidates with low vision will be allowed the help of Scribe, if required. Qualification : A degree in Law from a recognized University. Age : Not less than 23 years and not more than 35 years on 01.01.2013 (i.e. born not earlier than the 2nd January, 1975 and not late than the 1st January, 1987). Upper age limit is relaxable for the candidates serving under Govt. of West Bengal. Examinations will be conducted by the Public Service Commission in the month of December, 2013 or thereabout at Kolkata followed by Personality Tests. CLOSING DATE FOR RECEIPT OF APPLICATION : The 16th of September, 2013. Results of the Half-Yearly Departmental Examination of the officers of the Government of West Bengal, (Including All India Service officers) held from Tuesday, the 4th December, 2012 to Wednesday, the 19th December, 2012. Was this blog helpful to you? All data provided on this site are for informational purpose only. Awesome Inc. theme. Powered by Blogger.